Moving the bar was a major project. We had even started the process months ago to decide where plumbing and electrical would go and if the move could even be done. It was a few weeks ago when we removed the tables from the bar room and walled it off. And now, after Ray and the crew pulled an all-nighter last night, the original bar is 100% completely gone and the new bar is fully functional! It is a project and a bar that we are all proud of. In the coming weeks you will see us finish off the original bar area with a hallway, flooring, booths and cocktail tables. The new bar will be receiving the finishing touches with some brand new barstools. For now, you just get to enjoy the bar itself. 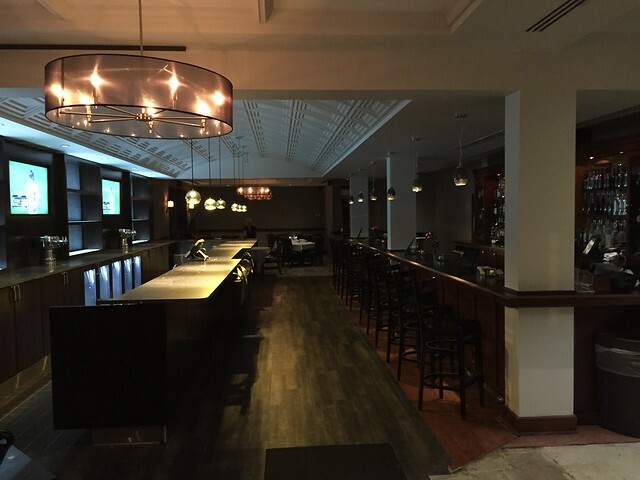 Equipped with two brand new flat screen televisions (which will be on for those Cubbie playoff games) and creative lighting you must see in the evening to appreciate. You will also find the new bar to be much quieter than the original. We have removed anything that created noise from behind the bar. You will not find a glasswasher back there or any compressors for the coolers. The compressors are controlled remotely from the basement and the glasswasher has been moved to the kitchen. Our new bar is about as quiet as it can get. 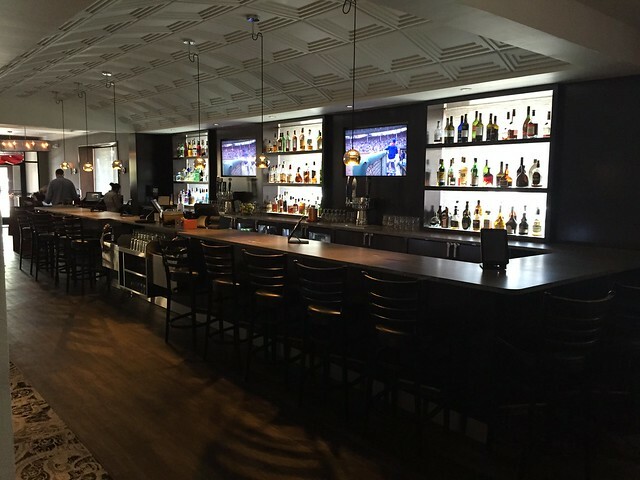 Whether you stop in or take a drive by to see it from the outside, we feel our new bar atmosphere is an upgrade from the original, one we feel our guests will quickly fall in love with, perhaps all over again. Perhaps the most intriguing part of the remodel, one we have not discussed much, will start to take place in the next few months as we finish up the last section of our dining room. We hope to bring some live late night dining entertainment to accompany our new atmosphere. Stay tuned to future newsletters to learn more of our plans for this new masterpiece.